I can say one word and you will surely know to whom I am referring: BAM! His signature conclusion to creating yet another beautiful and mouth watering dish has become a household word and brand. 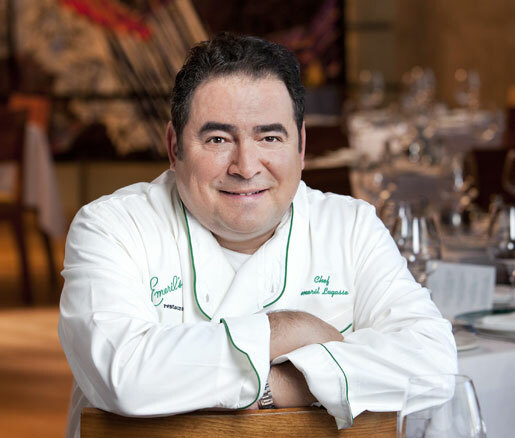 Emeril Lagasse has become of the most popular and well-known chefs in the culinary world by opening amazingly successful restaurants, hosting wildly successful cooking shows, and writing countless best selling cookbooks. You have surely caught him cooking for a lively crowd on his Food Network shows “Emeril Live” and “The Essence of Emeril.” Emeril Lagasse is the perfect example of an individual who followed his passion in life, and success quickly following. After cooking his way through such cities as Paris, New York, and Boston, Emeril was persuaded to move to the Big Easy. There he stayed on as head chef at the legendary restaurant, Commander’s Palace for eight years. In 1990, Emeril opened his own restaurant, Emeril’s Restaurant. Not surprisingly, the praise quickly followed from notable critics and magazines. Lucky for all of us, he opened even more fabulous restaurants including NOLA, Emeril’s Tchoup Chop, and Emeril’s Delmonico, just to name a few. Surely Emeril Lagasse has never looked back and regretted turning down a music scholarship to follow his passion for the culinary arts. This man is a man of many talents clearly. I know my palette is eternally grateful he followed his dreams. Those of us residing here in Northwest Florida are fortunate that Emeril and family fell in love with our white sandy beaches and charming small town enough to call it home. Ok ok so I’m sure they have many cities they call home, but we like to think this is their favorite. I have found myself, on several occasions, lucky enough to be inspecting produce right next to the famous Chef at our local grocery. I played it very cool of course but inside hoped he didn’t judge me for the multiple boxes of Cheez-its that adorned my shopping cart. It was BOGO-just sayin. His cart of course was filled with the best and most beautiful produce and seafood…no Cheez-its. Today you will find Lagasse hosting a new show on The Cooking Channel, “Emeril’s Florida.” Each week we get a front seat guided tour with Emeril to some of his favorite restaurants in Florida. Traveling everywhere from South Walton to South Beach, Emeril Lagasse takes us on a culinary trip to show all the Sunshine State has to offer. 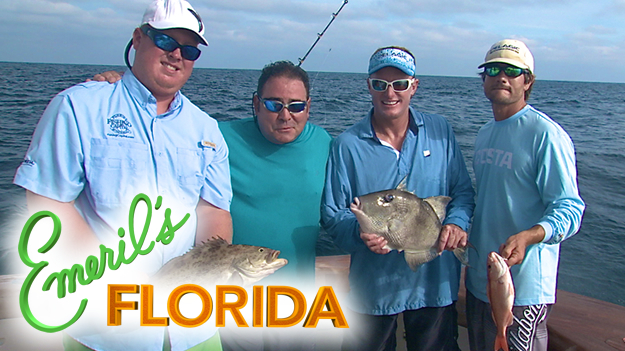 You can catch Emeril’s Florida, Sundays on The Cooking Channel. I personally have it set to record so I never miss out. But all his professional accomplishments aren’t all that makes the man. Emeril is not only a creative and highly acclaimed Chef, he is also a husband, a father, and a passionate advocate of children’s education. 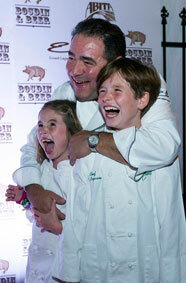 In 2002, Emeril started the Emeril Lagasse Foundation. This foundation supports educational programs aimed at inspiring and mentoring our youth in the areas of nutrition, culinary arts, and overall important life skills. The foundation to date has contributed over $5.5 million to causes in Las Vegas, New Orleans, and the Gulf Coast. Additionally, Lagasse was named “Humanitarian of the Year” by The James Beard Foundation in 2013. Is there anything this man doesn’t do? He’s Chef, Proprietor, best selling Author, Philanthropist, Husband to wife Alden, and Dad to son Emeril Jr. and daughter Meril. Not that he needs one more title, but I am going to add one more title to that line up; Darn Good Person. Thank you Emeril for all that you do. To purchase tickets to “Taste of the Race,” and have the opportunity to meet Emeril Lagasse, please visit www.tasteoftherace.eventbrite.com. This event will sell out, so plan ahead and purchase tickets today. Thank you for your supporting the Seaside Schools.